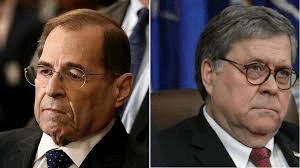 Trump Attorney General Bill Barr is going to be on the hot seat…. Others question how Barr came to his view that Trump gets a clean slate…. Over the 22 months of their inquiry, Robert S. Mueller III’s investigators examined countless documents and interviewed dozens of witnesses, including some of the highest-ranking lawyers and aides in the White House, to determine whether President Trump obstructed justice. But in the end, the special counsel reached no conclusion — instead producing a report that merely marshaled evidence on both sides. But investigators never got a chance to interrogate Mr. Trump about his motives….